Ringgold City Hall is located at 150 Tennessee Street, Ringgold, GA 30736; phone: 706-935-3061. Photo: Whitman-Anderson House, ca. 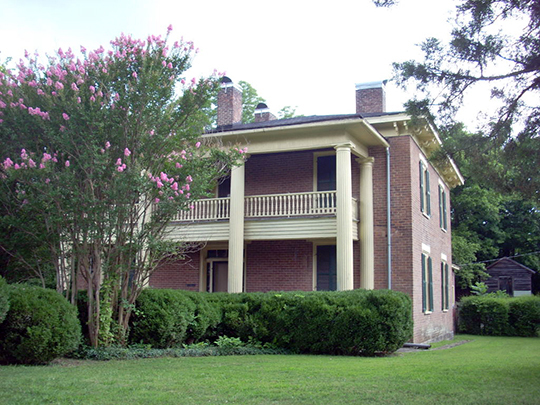 1858, 309 Tennessee Street, Ringgold, GA. Listed on the National Register of Historic Places in 1977. Photographed by User:KudzuVine (own work), 2009, [cc0-by-1.0 (creativecommons.org/publicdomain/zero/1.0/deed.en], via Wikimedia Commons, accessed April, 2014. Incorporated in 1847, Ringgold was virtually destroyed in the Civil War's Chattanooga Campaign. The Battle of Chicamauga resulted in more than 34,000 casualties, roughly split between the North and the South. The town is named for Major Samuel Ringgold who left the dubious legacy of being the first officer to be killed in the first battle of the War with Mexico.